Is It Bad to Sleep with a Fan Blowing on You? Many people prefer to sleep with a fan running. In the warm parts of the world, ceiling fans can be found in most houses and apartments. Those without ceiling fans often purchase a desk or floor fans to keep them cool at night. For some people, it’s hard to imagine falling asleep in the blistering heat without the relief of a fan. 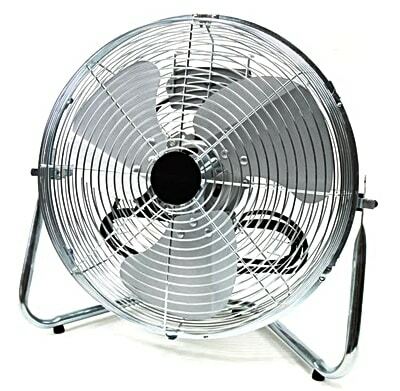 As for those who live in noisy areas, the calming whirr of the fan can prove a useful sleep aid. It’s one of the most effective ways to stay cool at night without air conditioning. But is sleeping with a fan on all night good for you? Unfortunately, though it may help you fall asleep quicker, there may be a downside sleeping with a fan. Without you knowing it, your fan could be causing a myriad of health problems. Many rumors are surrounding the safety of using fans at night. Today, we’ll explore which of these are true, and which are unfounded myths. We’ll also look at how to sleep with a fan without compromising your health. Finally, if you want to break the habit, we’ll offer some tips on how to stop sleeping with a fan. Why Does a Fan Help Me Sleep? 1 Why Does a Fan Help Me Sleep? 2 Is It Bad to Sleep with a Fan Blowing on You? 2.1 Does Sleeping with a Fan on Dehydrate You? 2.2 Is It True That Sleeping with the Fan on Makes You Sick? 2.3 Can Sleeping Under a Fan Cause Body Aches? 2.4 Can Fans Make Asthma and Allergies Worse? So, first things first, let’s take a look at the positives. Why do people prefer to sleep with a fan in the first place? Sleeping with a fan offers three main benefits, which we’ll now explore in detail. The primary benefit of sleeping with a fan on is temperature control. In the summer months, a fan can provide much-needed relief from the heat at night. In hot climates, the temperature may be high enough to warrant use of a fan year-long. Whether you use a ceiling fan, floor fan or desk fan, they all help to keep you fresh. So, why do we prefer to stay cool at night? Science suggests that a cool sleeping environment results in a higher quality of sleep. 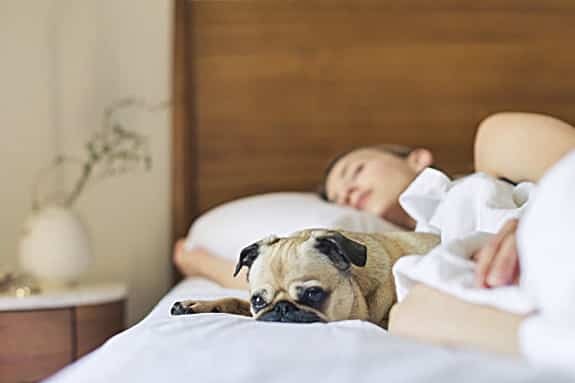 Research in the Journal of Physiological Anthropology found that a warm bedroom temperature can result in disturbed sleep. Not only that, but it also reduces the amount of deep sleep and REM sleep experienced during the night. The ideal bedroom temperature is around 65 – 72 degrees Fahrenheit, depending on personal preference. 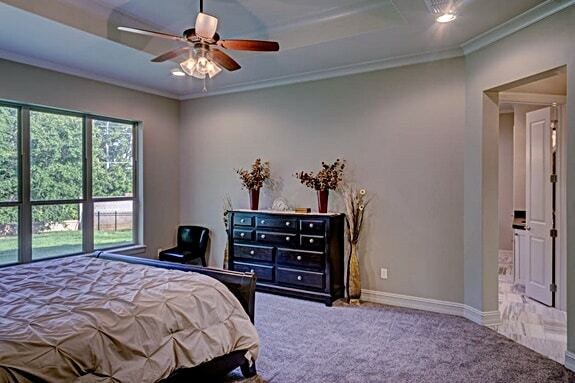 Fans provide an easy way to bring the bedroom temperature down in warmer weather. As a bonus, they’re much cheaper than air conditioning, which can cost thousands of dollars to have installed. Along with keeping you cool, the sound of a fan can also promote sleep. Many people find it easier to fall asleep with the constant hum of a fan. This may be because the fan’s background drone mimics the sound of white noise. Why not use a white noise machine instead? White noise is a constant, unchanging tone which encompasses many different frequencies of sound. Because of this, it can mask various noises which may otherwise rouse you from sleep. According to research by Current Biology, some people’s brains produce more sleep spindles than others. These people are heavier sleepers, less likely to wake up due to noise. For light sleepers, the sound of a fan may be instrumental in muffling undesirable sounds at night. This is especially true for people who find it difficult to sleep with earplugs. There’s one final benefit to sleeping with a fan at night. When a fan is running, it promotes the circulation of air around the room. 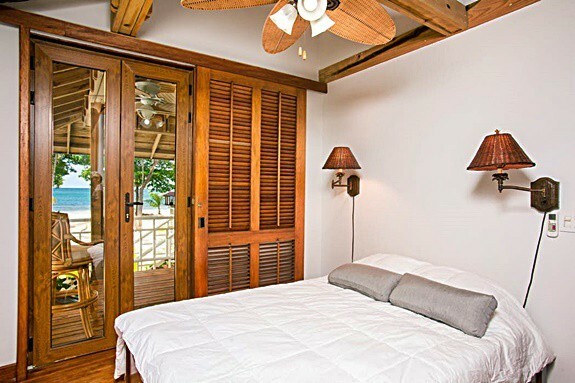 If you sleep with your windows and doors closed, the air in the room can quickly become stale and stagnant. Many people find it difficult to sleep in a stuffy room. Carbon dioxide is heavier than air and therefore can settle in the room where you breathe it out. While you won’t become oxygen-deprived, it can still be unpleasant to breathe in a stale room. To get the idea, you can produce the same effect by breathing underneath a loose blanket for a few minutes. Although it may seem easy to open a window, this isn’t always possible. Some people live in noisy neighborhoods and have to keep their windows closed to retain a quiet home. Others may live in climates where there is barely any wind outside during certain parts of the air. If the air outside is humid and still, even opening a window won’t generate the desired breeze. Running a fan during the night is a cheap and reliable way to encourage airflow in a bedroom. Not only does it help you breathe easier, but it can also shift lingering smells. So, we’re now familiar with the three main benefits of sleeping with a fan on. If you find that it’s easier to get to sleep with a fan running, you now know why. But, are there any disadvantages to this practice? There are many rumors about the potential damage to health that can come from sleeping with a fan. Let’s look at the four main issues and whether there’s any truth to them. Does Sleeping with a Fan on Dehydrate You? You may recall that a benefit to sleeping with a fan is the increased air circulation. While it may provide a more comfortable sleeping environment, there is a downside to this. A rapid airflow in the bedroom could be dehydrating you while you sleep. It all comes down to the science of evaporation. We all know that heat causes water to evaporate. That’s why shallow ponds dry up in the summer. But what you may not know is that rapid air movement, or wind, causes water to evaporate more quickly. That’s why a more powerful blow-dryer will dry your hair more rapidly than a weaker one of the same temperature. According to the University of Illinois, the higher the wind speed, the quicker the evaporation. This is because the fast-moving air “sweeps away” water particles from the surface. So, what has this got to do with our bodies? As we sleep, water from our eyes, nose, mouth, and skin can evaporate. This happens with or without a fan, but the effect is far larger with rapid air movement. Sleeping with a fan can cause you to wake up with dry and uncomfortable eyes. Your mouth may feel sticky and parched. If you’re particularly dehydrated, your lips may even chap, and your nose could start bleeding during the night. If you sleep above the covers, your skin may also dry out, requiring moisturization. Is It True That Sleeping with the Fan on Makes You Sick? You may have heard that sleeping with a fan on can cause you to become sick. Some people claim that if they sleep with a fan on, they often wake up with a cold or flu. They may experience sore throats, stuffy or runny noses, and even sinus headaches. But, can a fan cause you to catch a cold or flu? Fortunately, this is impossible. Colds and cases of flu are due to a virus, which has to be passed from person to person. Unless you’ve come into contact with someone who has a cold, you can’t catch one. 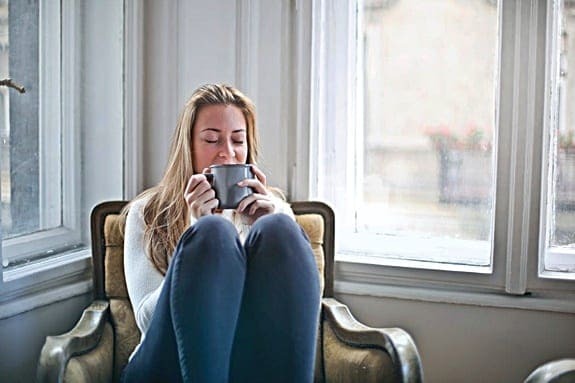 You may have heard the old wives’ tale that being cold can cause you to “catch your death.” This is a myth, stemming from the fact that colds are more common in winter. In the winter, people are likely to stay indoors, close to one another. This means that anyone in the same house has a higher chance of catching the virus. As days are shorter in winter, our bodies absorb less Vitamin D from the sun. Without Vitamin D, our immune systems are not as efficient. Cold and flu viruses can breed and survive more successfully in cold weather, meaning there are more viruses around. No matter how cold the air is, you can’t catch a cold without being exposed to a virus. So, why does sleeping with a fan make your throat hurt and nose run? Does a fan make a cold worse? Potentially, yes. As we’ve already discussed, fans can dry out the throat and nasal passages. As a response to a dry nose, your sinuses may produce more mucus to compensate. This means you may wake up with a sore throat and runny nose. If the mucus gathers in the sinuses, this could give you a sinus headache. If you’re already suffering from a cold, a fan could exaggerate its effects, making you feel worse. Even if you’re healthy, the dehydrating effects of a fan could cause you to experience cold-like symptoms. So if you’re wondering “do ceiling fans cause congestion,” it seems that they can. Can Sleeping Under a Fan Cause Body Aches? This is a strange one. Some people claim that if they sleep with a fan pointed at them that they wake up with an aching body. Complaints of back pain, neck pain, and muscle aches are common. But how is this possible? This particular phenomenon appears to be down to the cold temperatures created by a fan. If muscles are exposed to cold air, they tend to contract and stiffen. All of which can cause pain and discomfort. Why is this? Well, when muscles contract, their range of motion is more limited. Joints can also tighten up, exacerbating the problem. Moving too quickly or too forcefully can then cause pain. As you sleep, you may toss and turn in bed, or move around during REM sleep. If your body is cold, it’s not uncommon to wake up with some stiffness or pain. You’re more likely to notice this with a fan if you sleep with no clothes or bedclothes. This is because a larger area of your body is exposed to the cold air. Can Fans Make Asthma and Allergies Worse? Finally, let’s look at the role that fans play in the lives of asthma and allergy sufferers. Some people claim that after sleeping with a fan on, their asthma seems worse than before. Others feel that sleeping with a fan worsens their allergies. Is there any truth to this? Surprisingly, yes. It can be explained by the movement of air through the bedroom that fans generate. Usually, when we sleep, these allergens don’t affect us much. Without open windows or a fan running, the allergens stay in one place and aren’t likely to bother us during sleep. However, as we’ve established, fans help to circulate air during the night. The breeze from a fan can dislodge allergenic particles and carry them around the room. As you sleep, you may then breathe in these particles. If you’re already susceptible to allergies, you may find that using a fan makes your allergies worse. If you have asthma which is made worse by allergens, your fan may be triggering it. You’re now aware of the four main ways that fans can meddle with our health. They can cause dehydration, cold-like symptoms, body aches and worsen allergies. While these symptoms are not desirable, they aren’t exactly dangerous. You won’t seriously risk your health if you choose to sleep with a fan; it may just create some unpleasant side effects. Fortunately, there are ways in which you can mitigate these effects. If you’d like to continue sleeping with a fan, try the following tips. Sleeping with a fan on can cause your body to lose water. This causes not only symptoms of dehydration, but also cold-like symptoms as your body overproduces mucus in response. So, how can you counteract this effect? Invest in a humidifier. These clever gadgets slowly pump water vapor into the room, keeping the air moist and humid. They aren’t very expensive and can keep you hydrated while you sleep. Drink a lot of water. Aim for at least eight glasses of water per day to keep your body correctly hydrated. You can also keep a glass of water on your bedside cabinet in case you wake up thirsty in the night. Moisturize. Before you sleep, apply body lotion, hand cream, face moisturizer and lip balm. You can even apply Vaseline inside your nose to keep your nasal mucosa (the wet part) moist throughout the night. If your room is full of allergens, your fan may circulate them as you sleep, worsening allergies and asthma. However, if you remove the allergens from your room, the fan will have nothing to circulate. To keep your room allergen-free, try the following tips. Keep your bedroom door shut during the day so that pets can’t enter. Avoid bringing cut flowers into the house, especially the bedroom. Keep windows shut when the pollen count is high. Regularly vacuum and dust your room. If you spot any signs of mold growth, use an anti-mold spray to remove it immediately. Change your bedclothes at least once a week, and wash them on a hot wash. Invest in an air purifier. These devices filter the air, removing allergens and particulates before they reach you. Avoid using strongly-scented cleaning products in your room. Regularly disassemble and clean your fan, removing all dust from the blades. By keeping your bedroom free from allergenic particles, you can safely leave a fan on at night without your allergies flaring up. If you think your fan may be compromising your health, there could be a quite straightforward solution. Sometimes, it’s a simple case of changing the type of fan you’re using. Invest in a fan with an auto-shutoff timer. With these, you can choose how long the fan will stay on for before it switches off automatically. You can then use your fan to soothe yourself to sleep without keeping it running all night. If you’re suffering from body aches from the fan blowing on you, try a rotating fan. This way, the fan won’t be pointed directly at you all night. You’ll still feel the benefits of a cooler room and soothing white noise, without getting too cold. If your fan is difficult (or impossible) to clean, it may be circulating dust around your room. Try purchasing a fan that’s easier to disassemble, so that you can clean it thoroughly. By now, you’ve learned all of the benefits, and potential risks, of sleeping with a fan at night. You should also have learned some tips for mitigating the adverse effects that fans can have on your health. However, even after following our tips, you may still feel that sleeping with a fan is worsening your health. If this is the case, you may be considering giving it up altogether. For some people, it’s not easy to suddenly stop sleeping with a fan. To help your transition go smoothly, here are our top tips. Open a window at night. If there’s a breeze outside, it can help to cool your bedroom down. If you’re reluctant to open a window due to outside noise, you might try buying a good pair of earplugs. They come in various sizes and materials (such as foam, wax, and silicone). Many are designed to be comfortably worn while sleeping to help block out the noise. Invest in thick curtains or blinds. During the day, when the sun is at its highest, keep your bedroom window closed and covered. This will prevent the sun from warming up your room. Take a cool shower before bed. This should cool you down enough to fall asleep comfortably. Keep a bottle of iced water at your bedside. Sipping this before bed, plus during the night if you wake up, can help cool you down. If the soothing, monotonous noise of the fan is what helps you sleep, there is a way to replicate it. Most fans produce a sound akin to “white noise,” which is produced by playing many frequencies of sound at once. It sounds similar to TV static. White noise soothes the mind and muffles external noises which may keep you awake. Fortunately, you don’t need a fan to produce white noise. There are such things as “white noise machines,” which are relatively self-explanatory. They are equipped with high-quality speakers which play white noise to soothe you to sleep. As they only produce sound and not air, they don’t carry the health risks that fans do. As a bonus, the noise generated is usually more effective at blocking out sound than the noise produced by a fan. What’s more, many white noise machines offer several different features. Unlike a standard fan, most white noise machines allow you to choose between various sounds. As well as white noise, most machines offer different “colors” of noise, such as pink and brown. These all sound slightly different, so you can choose whichever one is best for you. Many machines also allow you to play other ambient noises, such as ocean sounds, rainfall, and birds. Some even have a “fan” option. So no matter what you’re in the mood for, there will be a sound to suit you. What Colors Make You Sleep Better? What are the Negative Effects of Sleep Deprivation on Health?